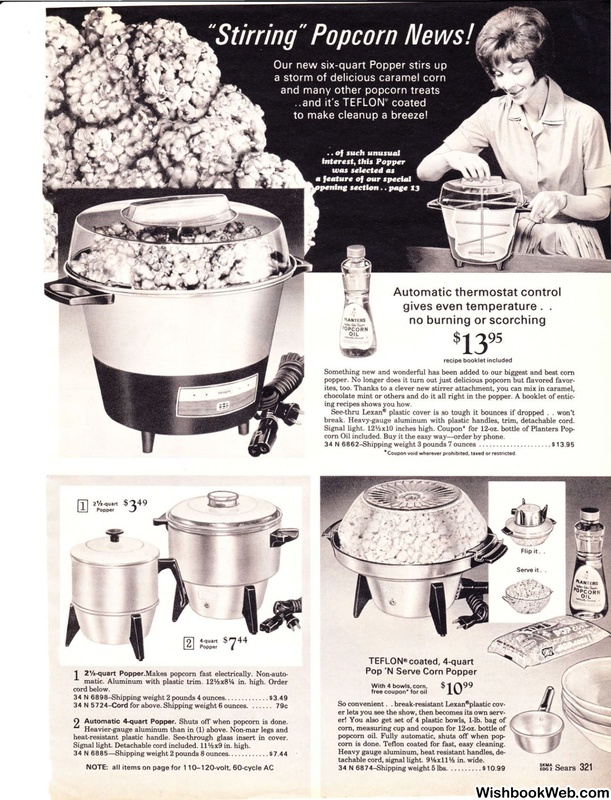 Automatic 4-quart Popper. Shuts off when popcorn is done. heat-resistant plastic handle. See-through glass insert in cover. Signal light. Detachable cord included. 11%x9 in. high. ing recipes shows you how. break. Heavy-gauge aluminum with plastic handles, trim, detachable cord. corn Oil included. Buy it the easy way-order by phone. •Coupon void wherever prohibited, taxed or restricted. corn is done. Teflon coated for fast, easy cleaning.